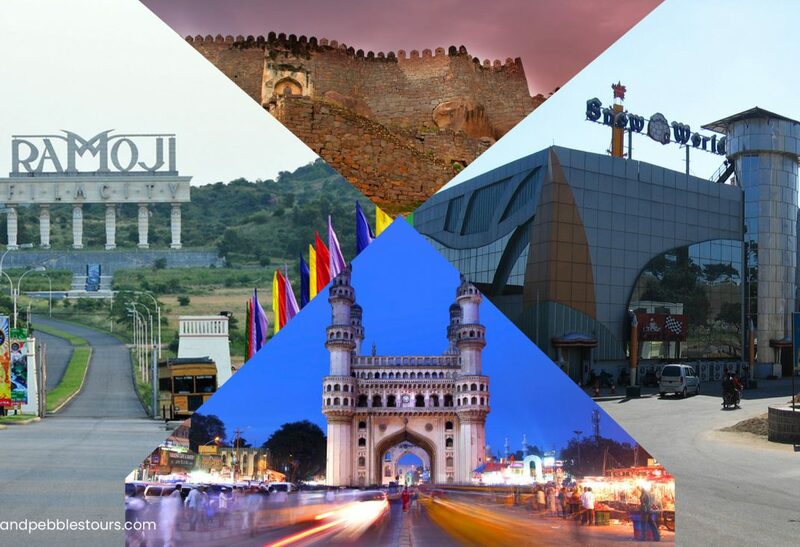 With its unmatched blend of history and modernity, Hyderabad never fails to impress. The city is noted for its unique culture, contemporary setting & mouthwatering cuisine. Hyderabad is a place priding in keeping the tourists entertained day and night. It is owing to these astounding attributes of Hyderabad and the inexplicable humility of the people of the place. It has a dual personality, skyscrapers tearing through the sky on one side & a characterful Islamic enclave on the other. Travelling To Hyderabad? Don’t miss These Places. It has to be at the top of the list. The identifiable icon of Hyderabad, Charminar is the biggest tourist attraction, ranging back to the 16th century. This is one place which will help you to witness the vividness of the city. Built-in 1591 by Qutb Shah, the 5th ruler of the dynasty, it was originally constructed to be a mosque. Different market streets radiate from this monument. It boasts of the elegance of the era gone by. A historical place to visit in Hyderabad, the Golconda Fort is much famed for its architectural techniques. The most significant feature of the fort is its royal palaces, highly efficient water supply system and beautiful whispering walls. It is also famous for its old tree, which is known to be about 800 years old and can accommodate more than 12 people in its hollow. The fort also holds a light and sound show every day narrating the history and story of the famous fort. This is another famous landmark and quite unmissable when you are in Hyderabad for a holiday. This place seems almost surreal with its wide collection of gardens and sets that have your interests piqued. It is known to be one of the largest as well as glamorous film studios, not just in India but in the entire world and has also found its way in Guinness Book of World Records. One can indulge in activities like high rope course, human mountain biking, paintball, shooting & archery, sumo suit, obstacle racezorb fight & bungee ejection. The lake is one of the popular as well as important landmarks of the city of Hyderabad. Situated at just about 2 kilometres from the heart of the city, the lake connects Hyderabad to Secunderabad. It is known to be one of the largest artificial lakes in Asia and was excavated during the reign of Ibrahim Qutub Shah. When lit, it looks like a string of pearls and is thus called, Necklace Road. Hazrat Hussain Shah Wali constructed the lake in 1562, but it is now more popular for the monolithic statue of Gautama Buddha, which was erected in 1992. Now that summers are here, you would want that pleasant climate in winters. The first ever Snow Park in India, the Snow World brings to Hyderabad the ideal respite from the blistering heat with an element of fun at its core. The subzero temperatures maintained at the facility are quite a highlight for the tourists. The entry fee for adults is INR 450 & INR 250 for children.